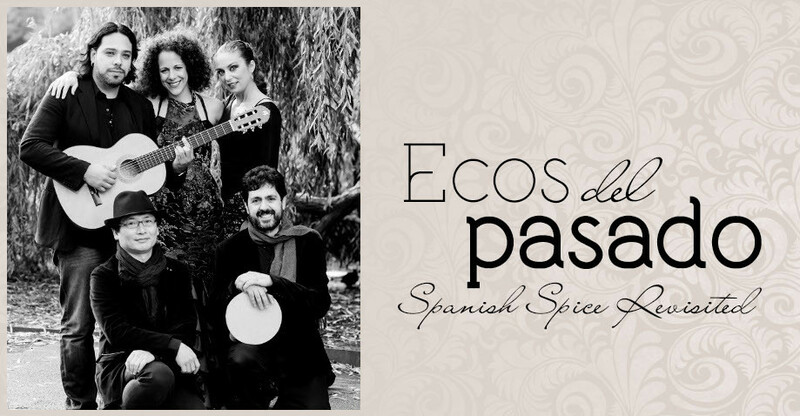 MiLuna Music » Spanish Spice revisited! Spanish early music with a modern twist, evoking the atmosphere of a gypsy encampment, with virtuosic improvisations on recorders, viol, flamenco & baroque guitars and percussion. 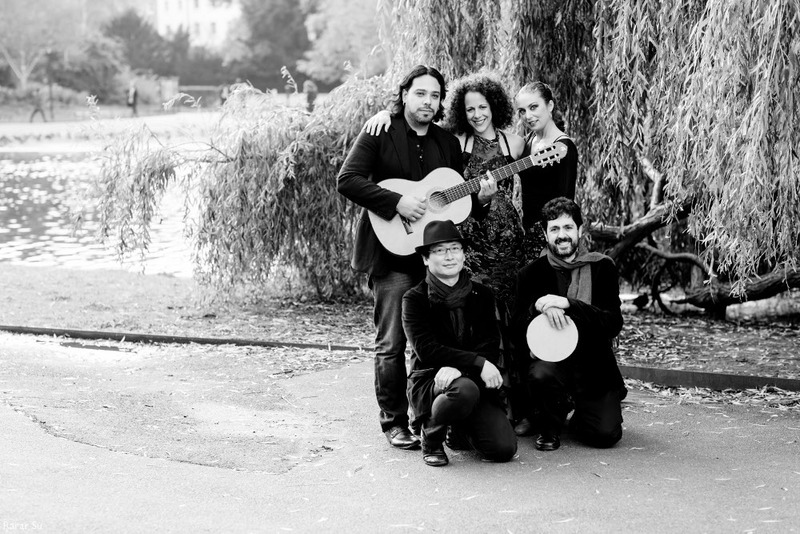 Mi Luna performs exhilarating flamencos, lyrical ensemble pieces and the swirling passionate tarantella. The guest artist of the programme, flamenco and contemporary dancer Melisa Calero, creates an exciting link between Early Music and the folk world of flamenco dance. 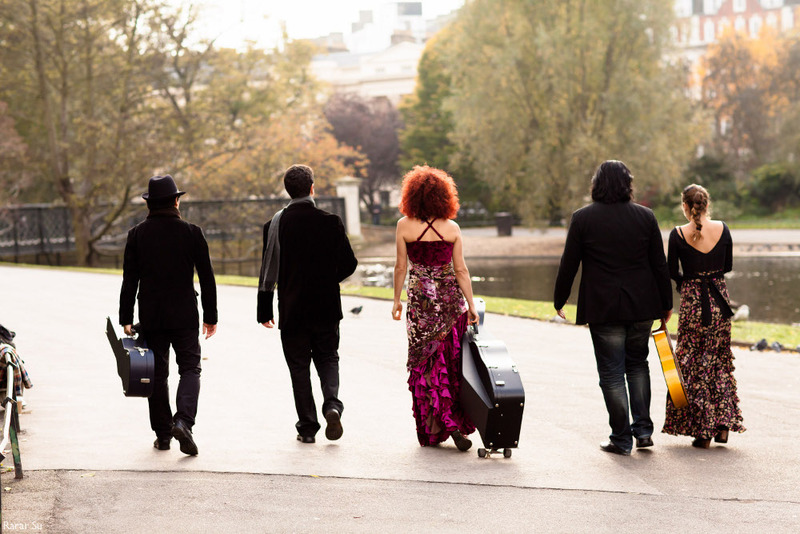 An electrifying performance brimming with kaleidoscopic moods and colours, inspired by haunting flamenco legends, the gypsy origin of the Faruca, and the transformational power of the Tarantela. 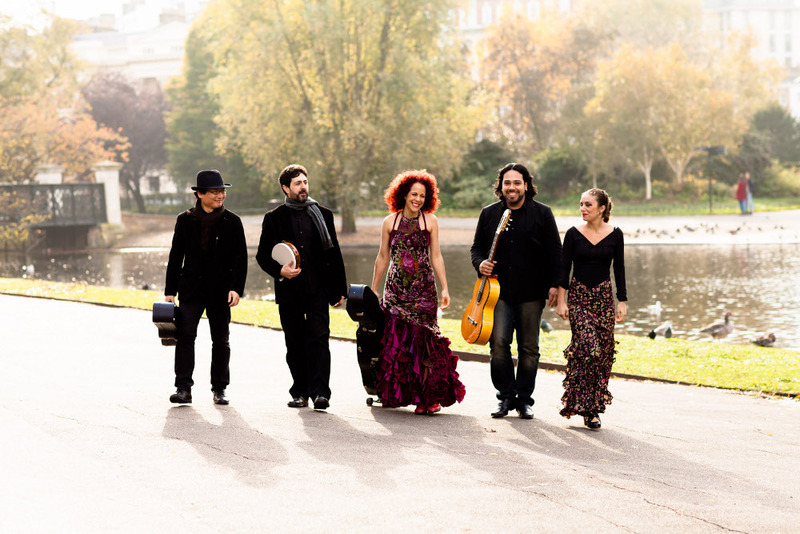 Join us for an evening of Baroque dances from Luz y Norte Musical – Musical Light and Guiding Star (Madrid, 1677) by Lucas Ruiz de Ribayaz, Recercadas by Diego Ortiz, traditional gypsy and Ladino songs and many surprises! “Wow! Mi Luna is an exciting phenomenon and your performance is something that I will never forget! I loved all aspects of it from the talented musicianship and sensitive playing to all the visuals – the colourful lighting and spectacular dresses … All the musicians brought so much to the event from superb percussion to guitar rhythms and spirited recorders … Mayte’s sensual movement and rhythmic clicking of fingers, shoes and maracas, her twists and expressively-flowing arms, her stunning dresses and sheer beauty. Just the sexiest thing I have seen on stage! “The Spanish dancer was elegant and expressive and delivered the early forms with haughty good taste. 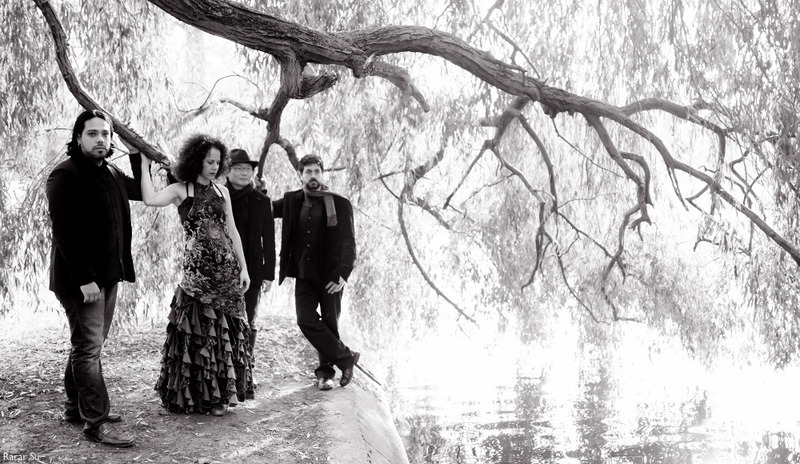 The interpretation of the music was forceful, energetic and passionate … Thiago Vasques the Flamenco guitarist sang as he played with an expertise one rarely hears … His Brazilian timbre was more refined … and it lent a sympathetic element to the performance. 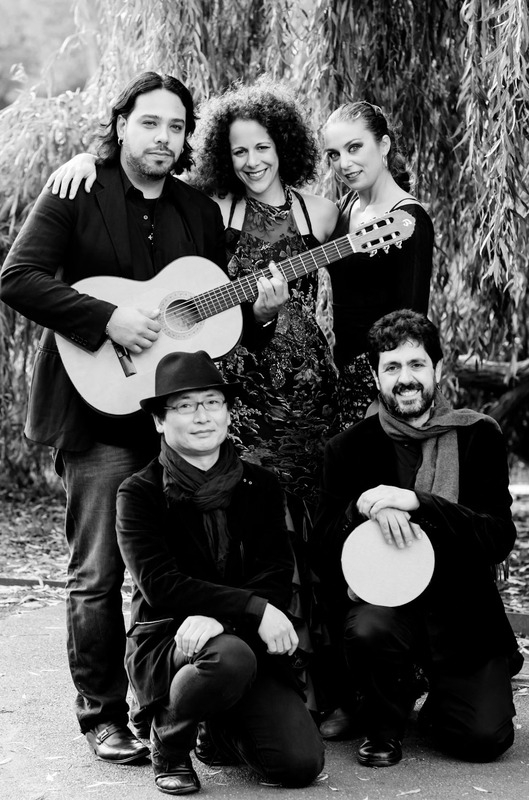 “The recorder playing was outstanding … Taro Takeuchi’s Baroque guitar was exceedingly effective in the early music and made a substantial contribution to the later Flamenco. Accompanying such rhythmical music, Andres Ticino’s percussion was indispensable. He extracted stunning and imaginative sounds from instruments that could be dismissed as rudimentary in comparison to today’s sophisticated gadgetry. The idea for Spanish Spice programme started when we looked at a 17th century manuscript, The Luz Y Norte Musical (Light and Guiding Star). This charming edition was published in 1677 in Madrid aiming to teach the Baroque Guitar and Harp of the time. It includes a selection of very short dances, sometimes only few bars of bass line and a fragment of a melody. The instrumentalists of the time would take the short musical phrases and create their own composition by improvising and adding variations. This skill of improvisation in music nowadays is associated with jazz and traditional music, but at the time it was an obvious expectation from all instrumentalists. In older periods most of the published music was vocal, and instrumentalists had to create their own parts, drawing their inspiration from the human voice. The 17th century was an exciting time to be an instrumentalist. More and more pieces were published where the composers tried to express new ideas based on qualities that are typical for instruments – such as very fast passages, use of bigger dramatic intervals, etc. When we play this repertoire today we enjoy so much freedom – we can decide on the mood, the speed, the tonality, add rhythmic diversity, embellishments and instrumentation… Working on the Luz Y Norte repertoire gave us many hours of joy! We spent long hours improvising and experimenting. It was great to be able to create our own music! Our programme presents side by side early instruments such as the Baroque guitar, recorders and viol with flamenco guitar and flamenco dance. 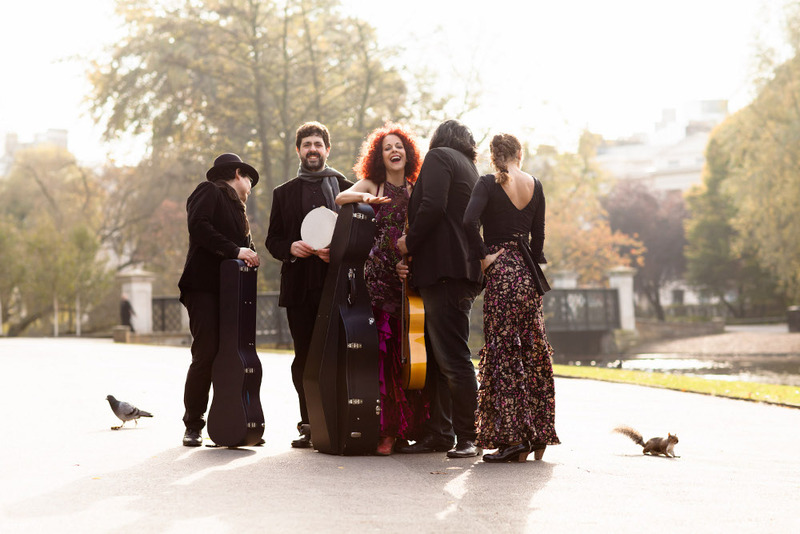 This collaboration of different musicians and dancers from the early music world as well as flamenco and Latin is always very exciting; as each of the artists brings ideas based on his/her own background, style and tastes. It is an ongoing creative process and each time we meet we experiment with new ideas and directions. As well as Baroque and flamenco composition, the programme includes our own arrangement of Tagell’s flamboyant cello piece ‘Flamenco’, which will be performed on the bass viol. This piece reflects the inspiration drawn from gypsy music-making by composers throughout the ages. Finding the right people for such a project is very important …. 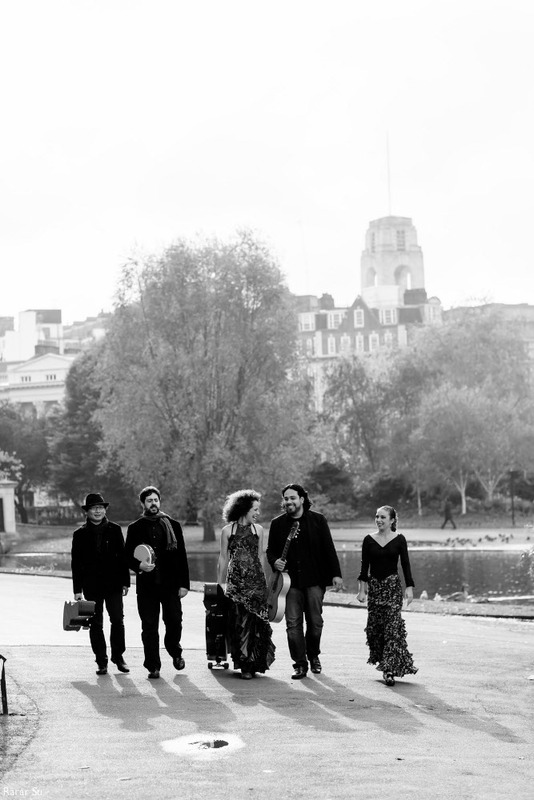 Flamenco dancer Mayte is joining us from Almeria and brings poise, energy and passion to any music we present her with. Andres, from Uruguay, with his inventive use of instruments and immaculate timing is the perfect man for any musical adventure. 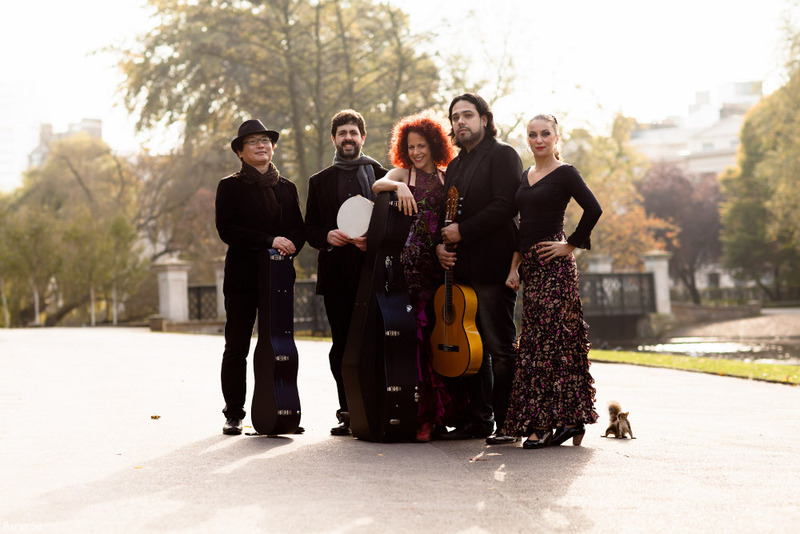 Coming from an Andalusian gypsy family, flamenco guitarist Thiago shares with us his deep understanding of and passionate connection to the flamenco world. Taro, our Japanese Baroque guitarist, has natural flair for improvisation and musical structures. His guitar playing is full of virtuosity and colour and is a real treat. Our journey into the music was full of discoveries. We encountered many ancient legends and stories and the music constantly developed and grew. For us every performance is different and we are looking forward to share some of the inspiration behind each piece with you. 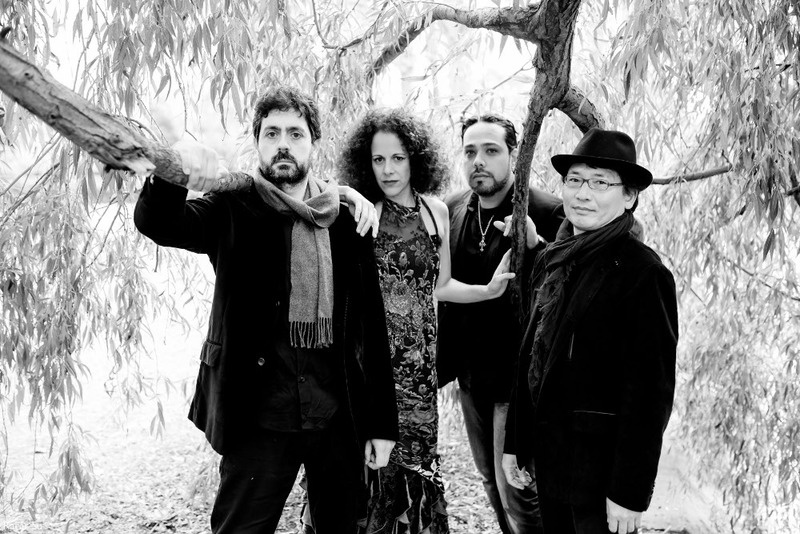 Mi Luna presents an exciting fusion of music and dance from different worlds and times. Our musical fusions create new harmonies and rise above the barriers of language, nationality, ethnicity and time... Hope you'll join us. We'd love to hear from you! Contact us here.